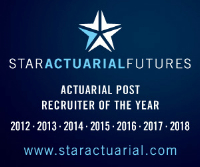 Major insurer is seeking a part-qualified non-life actuary to design and build model office environments to accurately predict the impact of any price change to the overall business. In this exciting career-development opportunity, you will use investigations of customers’ responses to price to build behavioural models. You will also be involved in research & development to include data sources, data mining and alternative modelling techniques.